The new blog site is up and ready to go, so I am going to direct you there. From now on I will be posting from our new and improved site on blog spot. Heather finished up the site and I think it looks beautiful – new header, new background, lists of blogs we read, etc!!! We hope you like it too. Good luck. Hope to see you on our new blog site!!! I’ve had a “golden oldie” playing in my head all day – “All my bags are packed, I’m ready to go…”. You should be very happy that you can’t hear me singing that!!! Actually Peter and I just loaded the car. I’m heading out bright and early (that’s about 9 AM Mary Ellen time) for the Camp Blanding Summer Retreat. This is a bonus retreat for us. Gloria usually only plans a Fall and Winter retreat, but this one is special – all of the retreat fees are being donated to the base’s Gold Star program, which benefits the soldiers and their families. I’m a little sad though because I only packed for one. 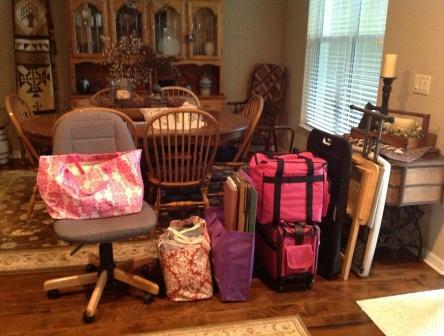 Usually Paula joins me at the retreats and I pack up 2 of everything – sewing machines, tables, chairs, irons, etc – but she just got back from teaching and needs to get somethings done at home. I have enough projects packed to keep me busy for at least 2 weeks, but you have to over pack!!! Who knows, maybe I’ll just fly through everything and come home with nothing else to do!!! LOL!!!! I’m picking up 3 quilts that need binding and I have 2 baby quilts, 2 sets of 288 snowball blocks for an exchange, and 1 handbag and that’s only the personal stuff!!! I’m finishing up a new quilt from Paula’s newest collection – Bordeaux and Sienna – and starting a re-do of Arlington from Summit Rose. 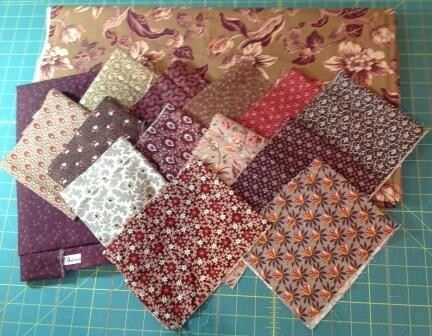 The Bordeaux and Sienna quilt and fabric will both be available in the Fall and the Arlington kit should be on the website in about 1 month. Bordeaux and Sienna is just yummy!!! The large print is to die for and I think I will probably need a whole bolt of it for myself. I may just sit and stare it and bask in its glory!!!! For the new Arlington, we are going to use the gorgeous border stripe and light grey fabric from Summit Rose and 2 blacks from Paula’s Companions collection. The light grey is already packed in the car and Paula is sending the black fabric to Camp Blanding, but here’s a picture of the border. Hopefully in my next post I will be directing you to our new blog. I’m bringing my computer so Heather can show me how the new one works. Can’t wait!!! No, that’s not the name of a new Red Crinoline Quilt, but rather my day so far. I’m anxiously awaiting the UPS or FedEx truck with the pattern bags and 3 ring binders that I need to finish the Block of the Month quilts. Everything else is done and ready to assemble, but I’m missing those 2 items. Now whose fault is it that I don’t have them – MINE!!!! I forgot to order them, so now I am waiting for them. Oh yeah, and patience is definitely not one of my virtues!!! Now I know you’re sitting there and thinking: “why doesn’t she just sew something, after all she is a quilter! !” Well, that is a great idea, but in order to have room for Gloria and I to fold all the BOM fabric, I unplugged and removed 1 sewing machine from its table and shoved the other machine and it’s table into the corner. So they are not readily accessible, but trust me, if I have to wait much longer, I will be moving at least one of those machines!!! So for now I am in a holding pattern and I’ve decided to work on another project. 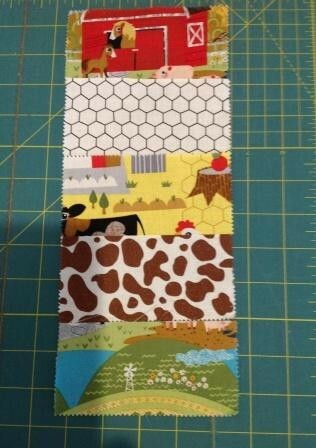 A dear friend is a new grandma, so I need a boy baby quilt!!!! Paula discovered the best baby quilt ever on Moda Bake Shop – Stacked Coins – and it is now my official go-to baby quilt. A couple of charm packs and you are ready to go. 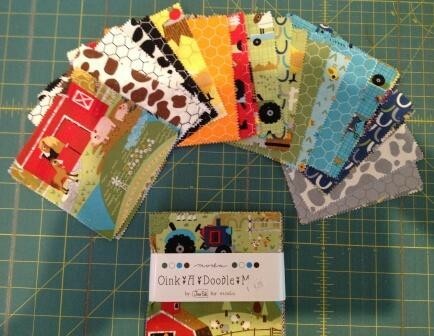 I happen to have a couple of “Oink-A-Doodle Moo” from Moda, so I am going to cut them and get them ready for piecing. 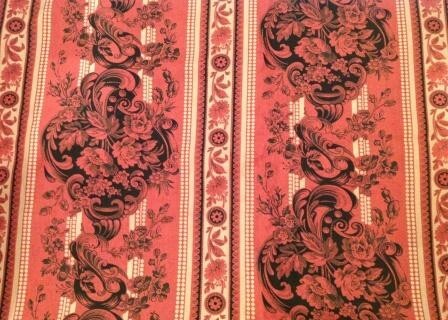 Here’s a picture of the fabrics. Nice bright colors that are just perfect for a little boy’s room. 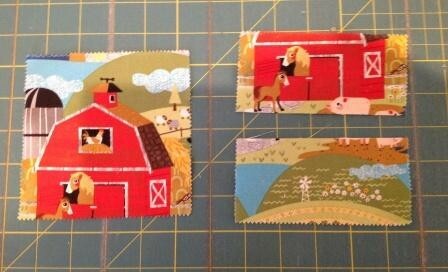 To make the quilt, you cut the charm squares in half horizontally. This charm pack has 42 squares and that should be plenty for this quilt. After the squares are cut in half, they are pieced together in vertical rows – 21 per row. Here’s what a row will look like when it is finished. This is only the cutting stage, so I promise to post a picture when it is completed. It really goes together very quickly and that is just perfect for a baby quilt. Hey, are you in the Dallas area this week? Paula is teaching Star of the West and Regimental Star on Wednesday, Thursday, Friday, Saturday and Sunday at Happiness Is…Quilting in McKinney, TX. Space is still available, so just call the store and sign-up. Right now she’s being a “personal shopper” at the United Notions warehouse. She’s got her list, my list and my permission to pick up two of anything she likes or thinks we can’t live without!!! I’m really very jealous that I’m not there with her!!! Well, still no bags or binders, so I’m off to cut my charm squares!! No, I’m not asking you to join my cell phone group, just wanting to share the past couple of weeks. Family: we spent the first week of July with family in upstate NY. Now, my dear husband has this theory that it’s going to be cooler in NY than it is in hot, humid Florida and sometimes his theory is actually correct – and other times not so much!!! The beginning of the week was rainy – they’d had about 8″ in June alone and flooding in towns along the NYS Thruway – but by the 4th I was begging for my central AC!!! We spent a couple of days with Peter’s brother Steve and his family (Anne – wife who folds BOM fabric and Emily – daughter who likes quilt gifts) at their home in Syracuse and their house on Lake Ontario in the village of Mexico. 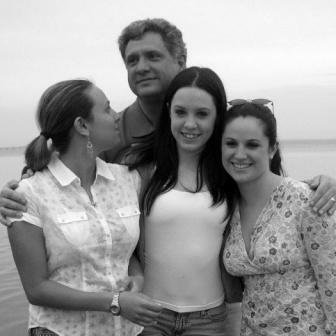 Then we headed to Ballston Lake to visit son Brett and his family – Meredith, Sydney and Julianne. Megan and Caitlin joined us, so we had a great reunion – kayaking, good food, movies with the granddaughters (Despicable Me II), boating on Lake George, and bar-b-que-ing!!!! We even have pictures to prove it!! 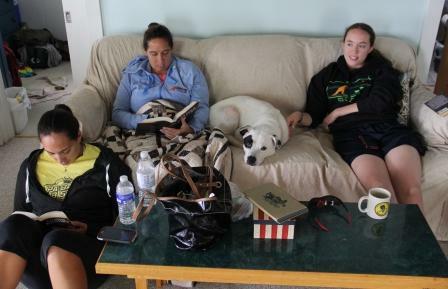 Caitlin, Megan, Panzer (Emily’s dog) and Emily doing what you do at the lake house – RELAX!!! 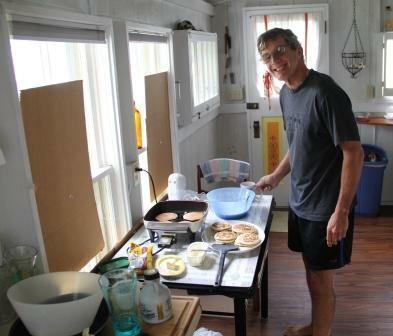 Steve is cooking a traditional big breakfast. You would never know we had enjoyed a big dinner the night before!!! It’s all about the food. Please note the cardboard on the windows isn’t to replace missing glass, but to test where new windows may go!!!! 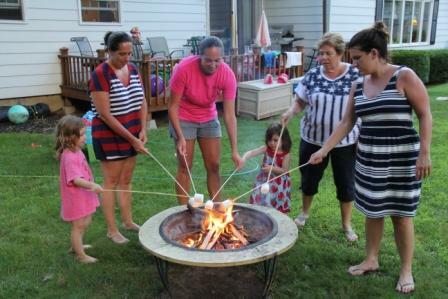 4th of July family marshmallow toasting. Check out the size of those sticks and the marshmallows. They made some great S’mores!!! 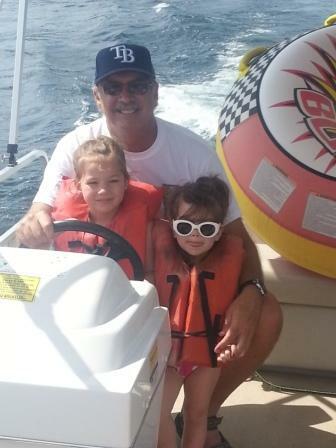 Sydney and Julianne help Grandpa Pete steer the boat on Lake George. 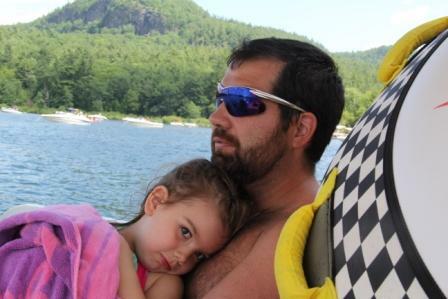 Brett and Julianne “resting” on the boat. When we got back home, I had a project or two to finish up before the fabric arrived for more shop kits. I finished the t-shirt quilt for my niece and it is off at the quilters (I’ll share a photo after she has it in her possession) and then I got busy cutting the fabric – 50 more shop kits!!!! And that’s where the friends part comes in!!!! Friends: My dear friend Gloria (Gloria Parsons of Olde Green Cupboard Designs in Jacksonville, FL) arrived on Friday morning to help fold, label and bag the fabric!!! I couldn’t have done it without her!!! I finished the cutting and then I did some folding also and I’ve still got a little to go!!! Now apparently there was a little temptation in Gloria’s line of sight while she was here. 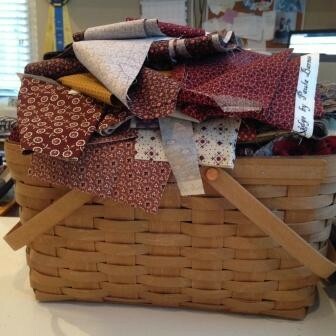 I keep a basket (a Longaberger gift from Paula) on my sewing table and I toss the fabric scraps in it as I cut fabric. I never thought too much about it, but when a photo of said basket appeared on Facebook and Gloria’s blog, I knew it was time to be a little protective!!! I can honestly say I didn’t search her luggage before she left, but rest assured I did check the sewing table before she was out the door!!!! 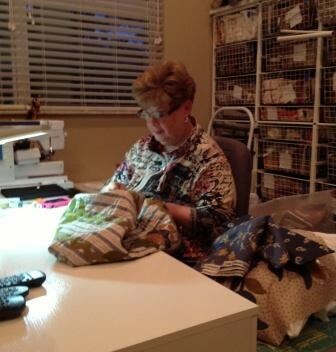 Gloria working on her tote bag from her new fabric collection Londonderry with Marcus Fabrics!! The infamous basket of scraps!!! You’ve probably noticed that the blog looks a little different. We are having our blog updated – new header, blog lists added, etc. – and this was a test. We are actually going to move to a new blog host, but I will let you know when we are moving. I don’t want to lose any of you. Hopefully the new hosting site will be better about how pictures appear in your post!!! Gloria’s daughter Heather, a very talented photographer and graphic designer, is working her magic for us. 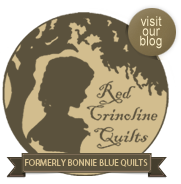 She is also setting up a Facebook page for Red Crinoline Quilts. Look out Social Media, Red Crinoline Quilts is in the house!!!! Well the BOM fabric is calling my name!!! I want to get this all finished and the kits ready because then I will start sewing on a quilt for Fall Market from Paula’s newest collection Bordeaux and Sienna!!! Can we say yummy!!!! Yes people, there is life after a 16 day cruise/vacation!!! At first you think you are never going to sleep past 4:30 in the morning, but after a few days that jet lag thing is over and you are back in the swing of things. We had a fabulous time, but I am now looking forward to a vacation to recover from my vacation!!! We only had 2 days at sea and I think we were up every other morning and off the ship as soon as it docked. We even set an alarm – who does that on a vacation!!!! Two good friends (with the help of Trip Advisor and Cruise Critic) arranged all of our tours for us, so we never had more than 12 people in a tour group – this was fantastic!!! We saw the Coliseum, the Forum, St. Peter’s Basilica, the Vatican Museum, the Sistine Chapel, the National Museum, Palatine Hill, Borghese Gallery, Pantheon, Gesu church and that was only in Rome. Once on the cruise we visited, Naples, Sorrento, Capri, Pompeii, Malta, Athens (Acropolis, Partheon, Agora and Olympic Stadium), Mykonos, Ephesus, Rhodes, Santorini, Crete, and finally Venice. I am not the photographer (Peter’s job – 1300 photos), but I did manage to get some pictures on my iPad as we sailed into Venice. They recently built a new pier in Venice and basically you sail into Venice and pass all of the canals, etc. Impressive to say the least. 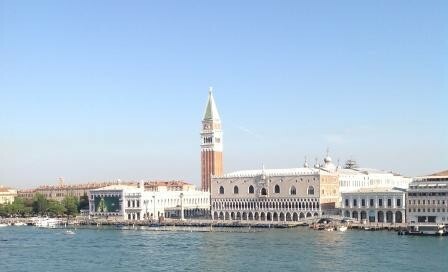 Here is my one photo and I believe it is St. Mark’s Square. And so now it’s back to the real world!!! 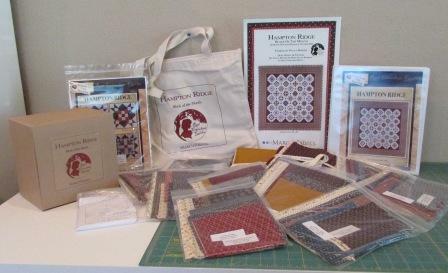 I’ve been busy getting the Hampton Ridge shop kits ready to ship out to shops. 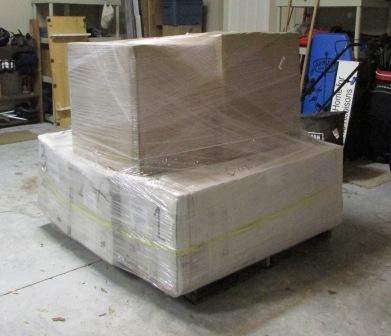 Do you remember the picture I posted of that gigantic pallet of fabric in my garage? Well, all of that has been cut, labeled, folded, bagged and made into 100 shop kits!!! 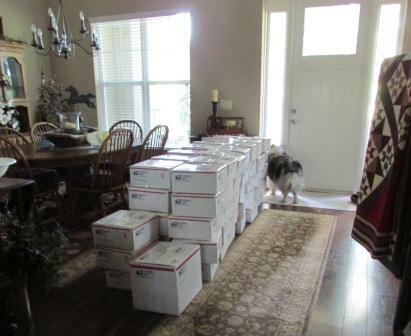 On Wednesday and Thursday, I shipped 93 of those kits off to various quilt shops!! This means that you should start hearing about the program in your local quilt store and maybe even see a block or two as the shop makes their sample. I hope you are getting excited about this program!!! You are going to love the quilt. Assembling these kits was a daunting task. The girls’ guest room (Peter likes to call it that) was filled with all of the “pieces” for the kits. 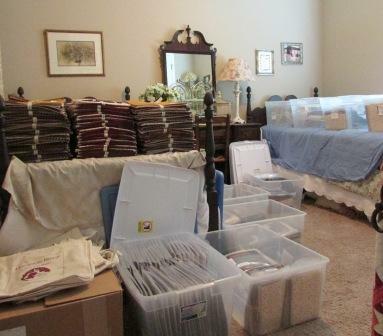 Folded finishing kits on one of the beds, plastic bins of monthly fabric on the floor and other bed, Star Singles, cardboard boxes, totes and posters spread all over. I assembled the kits in my sewing room, but had to walk back and forth between the guest room and the sewing room with all of the components. I did this for 2 days and let me tell you, I was exhausted!!!! But I can happily say: IT”S DONE!!!!! And now I have to get ready for more fabric so I can make another 50!!!!! Let me share some pics!!!! My guest room – not looking very welcoming!!! Shop kit contents – yes, it all has to fit in that tote!!! The finished product!!! Binder didn’t fit in the tote – oh well!!! And here’s my dining room/front hallway as we wait for the USPS carrier to come pick up all of the boxes. Oh and that’s my dog Jake. He’s old and probably a little senile and didn’t quite understand that I wanted him to move while I took the picture. He likes to watch out the front door, especially if Peter isn’t home. And now I getting ready to leave on another trip. New York, this time, to visit family. We’ll be back in Syracuse (Peter’s brother and wife) and then on to Ballston Lake to see Brett, Meredith and our granddaughters – YAY!!!! Megan and Caitlin will be joining us, so it will be a family reunion of sorts. Paula’s been busy and spent some time earlier this month at Jeanne Horton’s Country Sampler store in Wisconsin. She taught a new quilt she designed for their Grand Old Flag Celebration. Check out the pictures on Jeanne’s Blog. Later in July she will be traveling to Happiness Is…Quilting in McKinney, TX to lecture and teach a class on our Star of the West pattern. Thank you so much for your kind words and thoughts and prayers. They have been a comfort to Paula and I. She is taking all of this one day at a time. 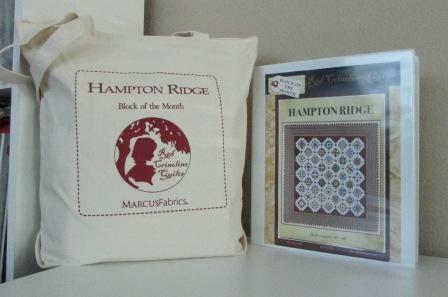 After a little delay, we are back to business and you should begin to see Hampton Ridge, our new Block of the Month, online and in quilt stores near you. 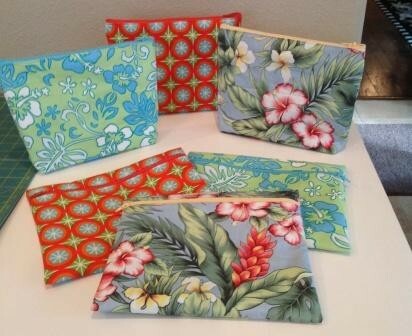 At some point I will send an email with our new patterns for Spring. We thank you for your patience. In between BOM pattern proofing, I’ve actually had the chance to do some personal sewing. 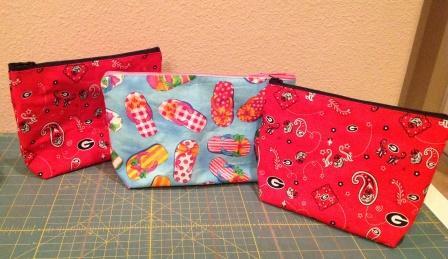 Our dear friend Gloria made the mistake of showing me these adorable zipper bags that she was making. Apparently she has made over 100 of them to give out as door prizes at her September retreat!!! And all I can say is, yes, they are that addicting!!! Kind of like that old potato chip query: “bet you can’t eat just one”!!! I think I made close to 20 and in just a couple of days. Then I showed Phyllis, another quilt show traveler, and yup, she’s hooked too. She and Bob came to visit and her comment as she left- “I’m heading to the quilt store tomorrow to get what I need!! !” Now mind you, she owned a quilt store, was a quilt show vendor and probably could still stock a good quilt store, but she needed to go buy fabric!!! Yes, that’s an addiction too and don’t you just love feeding that addiction!!! Here’s some pics of what I made: I made them for my nieces, my sisters-in-law, my daughters and daughter-in-law and my 2 cruise buddies. Gloria made all of hers with the zipper across the front. 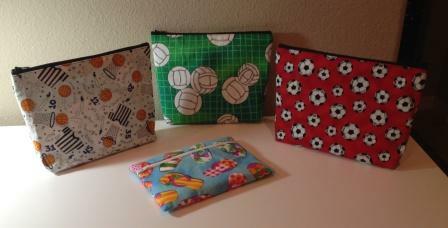 I adapted the pattern and made some of mine with a flat bottom and put the zipper across the top. I love that I could use all those cool, non-reproduction fabrics I’ve bought because they were so pretty and just to add to my “collection”. Big news – Peter and I are leaving today for our 2 1/2 week Rome visit/Eastern Mediterrean cruise. I will write again when I get home and hopefully have some good pictures to share. I’m writing this post today with a very heavy heart. Paula’s husband, JR, passed away suddenly on Saturday morning from an apparent heart attack. It was JR’s 60th birthday, so their 3 daughters and 2 grandchildren were all home visiting. JR was a wonderful man that was devoted to his wife and family. Fun-loving and always quick with a joke, JR was also a fantastic chef (not his profession). He will be missed by so many and for so many reasons. Please keep Paula and her family in your thoughts and prayers. To allow some time for Paula’s family and the Red Crinoline family to mourn and heal, shipping from Red Crinoline Quilts will be suspended until further notice. We thank you in advance for your patience.